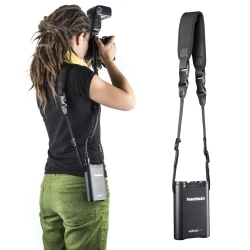 Our Powerblock plus will conquer the world of photography! It is an incredibly compact, mobile, and enduring innovation which solves one of the biggest problems of the strobist: The little energy giant ensures that your compact flash does not run out of power at the next event. It supports the internal lithium ionen batteries for up to approx. 800 flashes and shortens the recharge time to max. 1 second – unthinkable up to now! 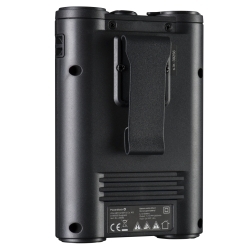 You will not want to do without the Powerblock plus, particularly at events where pictures with flash are taken frequently and at short intervals, e.g., weddings. It is simply all-around impressive! 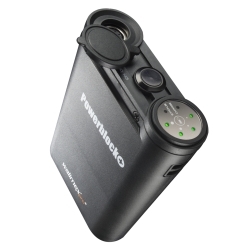 The Powerblock plus impresses with its flexibility: it can be used with flashes of various manufacturers by simply swapping the connecting cable. The absolutely sophisticated design can be seen in the details as well: With help of the clear recharge and battery status display, you are always informed about the current state of the device. 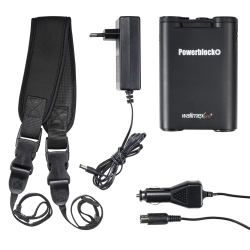 It can be recharged with the included mains battery charger or 12V car cable. The attached belt clip and the carrying strap support your mobility. For powering your flash device you already know and appreciate it. 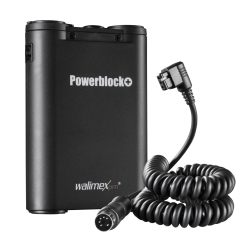 But the Powerblock plus by walimex pro does not just serve well in the field of photography. 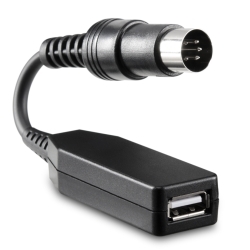 With the plug connector by walimex, you can connect devices with a USB connection to the Powerblock II. 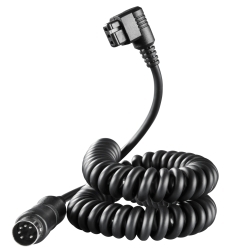 That way it is perfectly suited for charging or running smartphones, tablet PCs, MP3 players etc. That your smartphone battery dies while out – this problem is a part of the past! 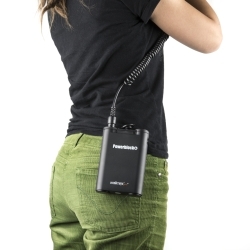 With it you can, e.g., charge your iPhone anytime and anywhere, off the line.